CERTIFIED KOSHER: Origin: Luku Township, Taiwan. Green Dragon Oolong, a Tung Ting style Oolong tea, is often referred to as one of the ‘Orchid Oolongs’ or ‘Jade Oolongs’ from Nantou County, the premiere Oolong-growing region of Taiwan. Known also as Dong Ding Oolong, this Oolong tea is manufactured in the Fujian style, not the traditional style of Formosa Oolongs. 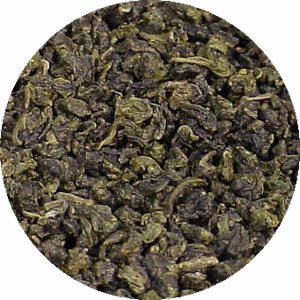 Green Dragon Oolong does not have the clean, stone-fruit taste of the traditional Formosa Oolongs. It offers complex aromatics, full, lush mouth-feel, and provides varying flavors throughout the seven or more infusions that it makes. Tung Ting style makes a sweet, smooth tasting oolong with a golden yellow infusion. The leaves are robust and show some green. The fragrance is wonderful. It makes one of the best and dependable cups.This very lightly oxidized Oolong (less than 10%) is so sweet and floral you would think that it was perfume instead of tea. 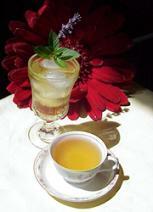 The cup is slightly buttery and nutty with a smooth finish and medium bodied mouth feel.